Draft: 1993, Philadelphia Phillies, 2nd rd. November 3, 2012 3B Scott Rolen elected free agency. June 18, 2012 Cincinnati Reds activated 3B Scott Rolen from the 15-day disabled list. June 15, 2012 sent 3B Scott Rolen on a rehab assignment to Louisville Bats. 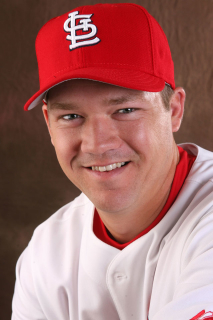 May 12, 2012 Scott Rolen roster status changed by Cincinnati Reds. October 3, 2011 Cincinnati Reds activated 3B Scott Rolen from the 15-day disabled list. July 22, 2011 Cincinnati Reds placed 3B Scott Rolen on the 15-day disabled list retroactive to July 21, 2011. Strained left shoulder. May 13, 2011 Cincinnati Reds activated 3B Scott Rolen from the 15-day disabled list. April 24, 2011 Cincinnati Reds placed 3B Scott Rolen on the 15-day disabled list retroactive to April 21, 2011. Strained left shoulder. August 23, 2009 Cincinnati Reds activated 3B Scott Rolen from the 15-day disabled list. August 20, 2009 sent 3B Scott Rolen on a rehab assignment to Louisville Bats. August 1, 2009 Cincinnati Reds activated 3B Scott Rolen.